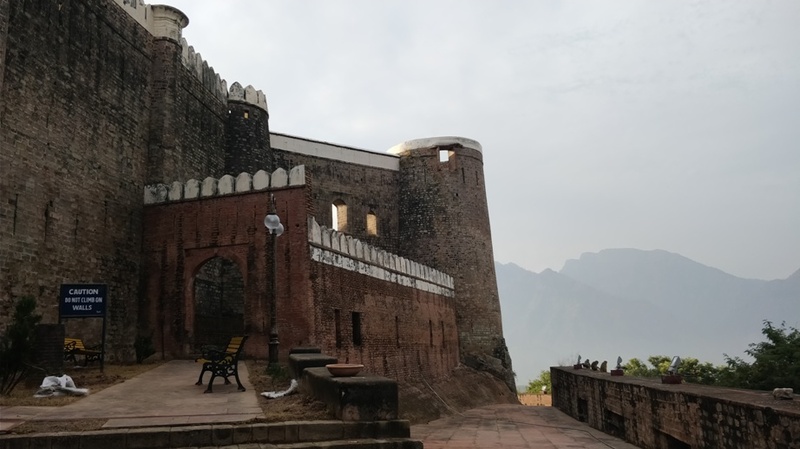 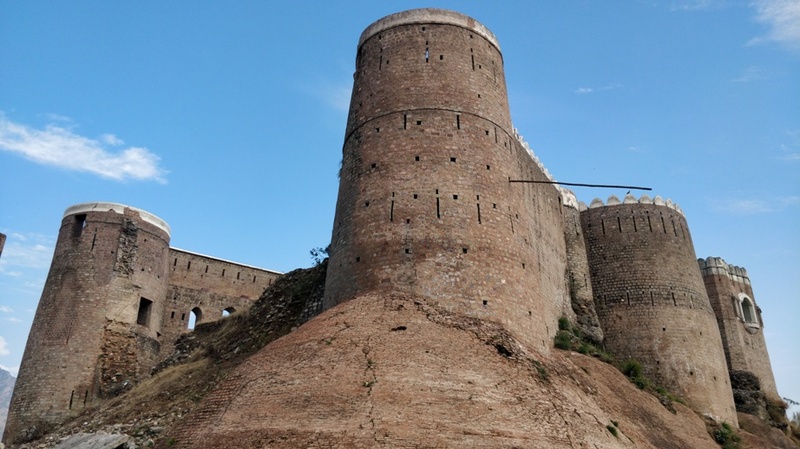 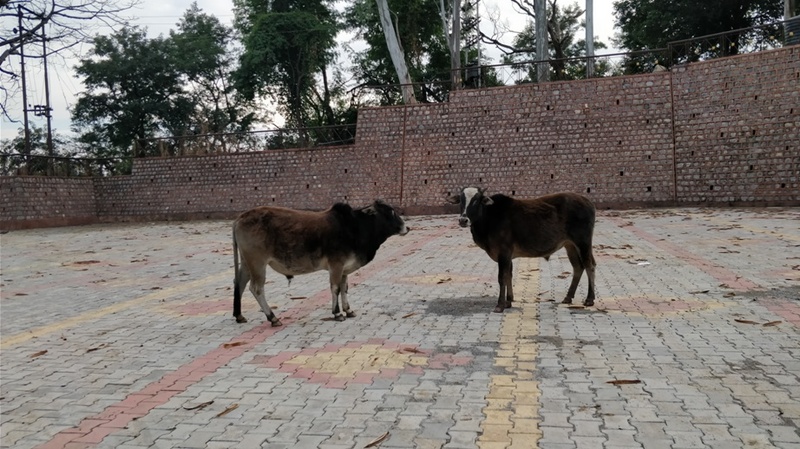 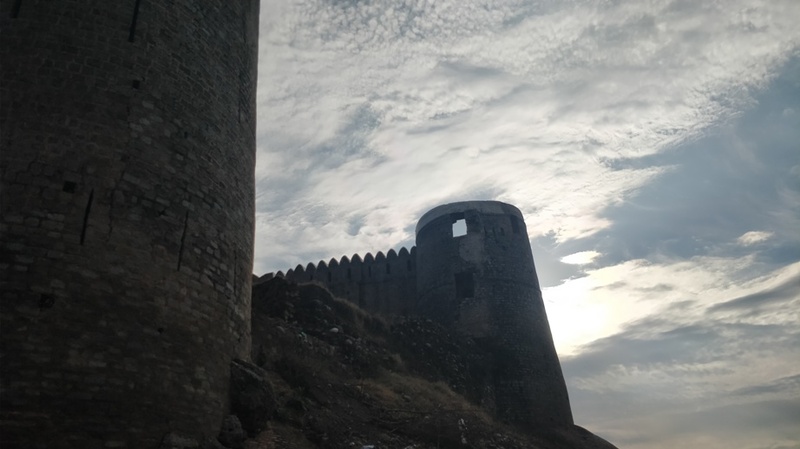 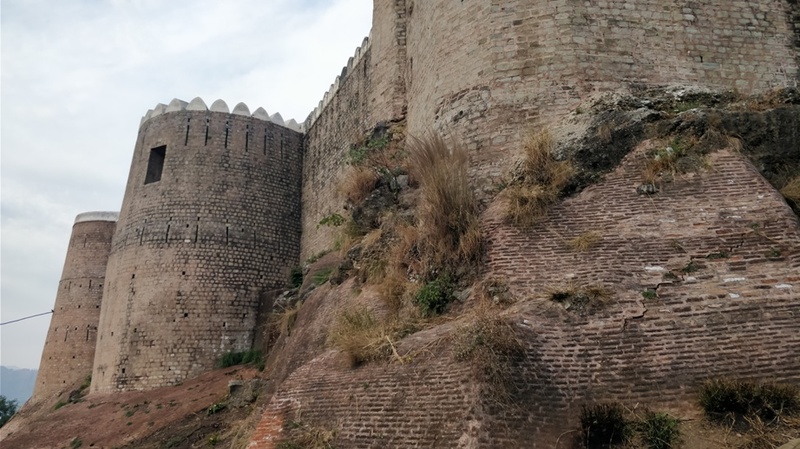 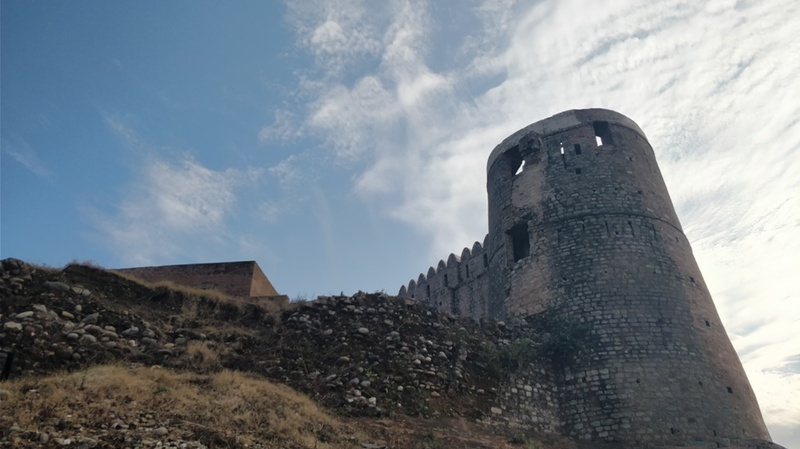 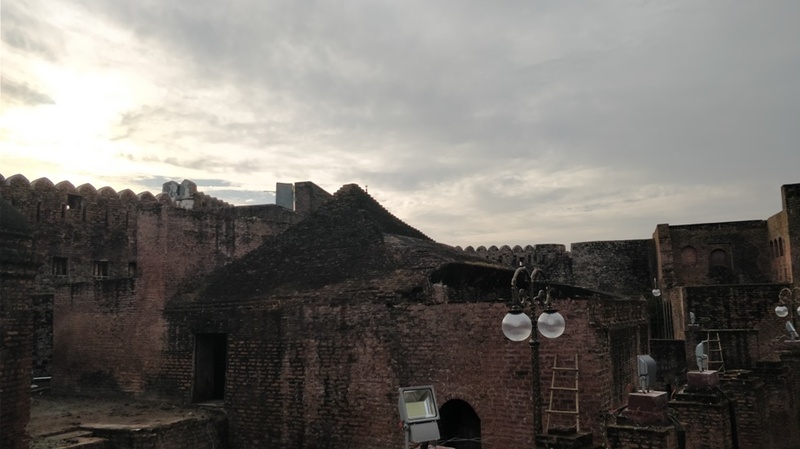 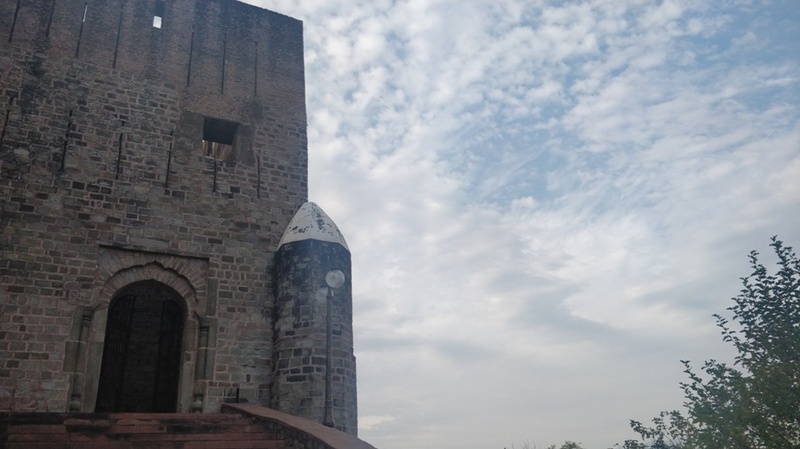 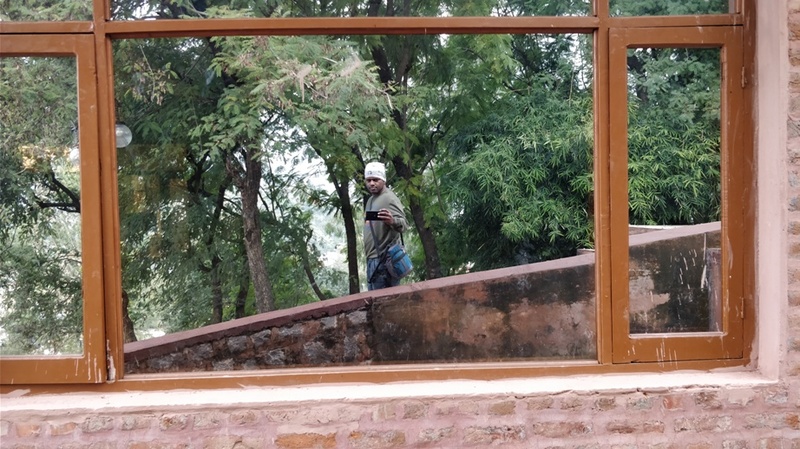 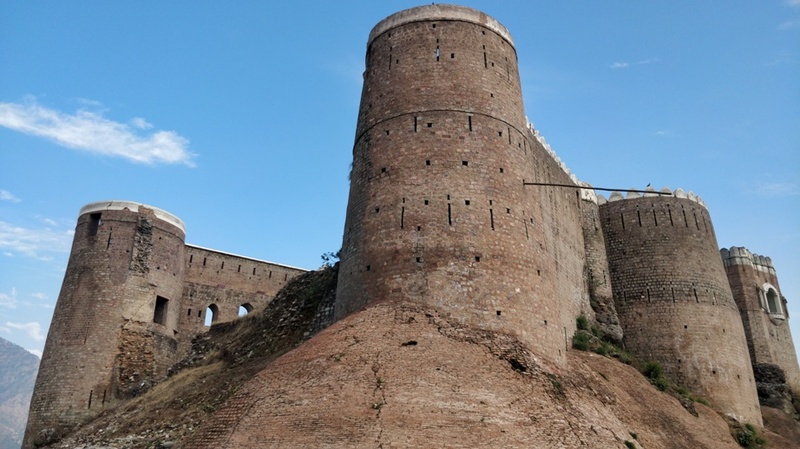 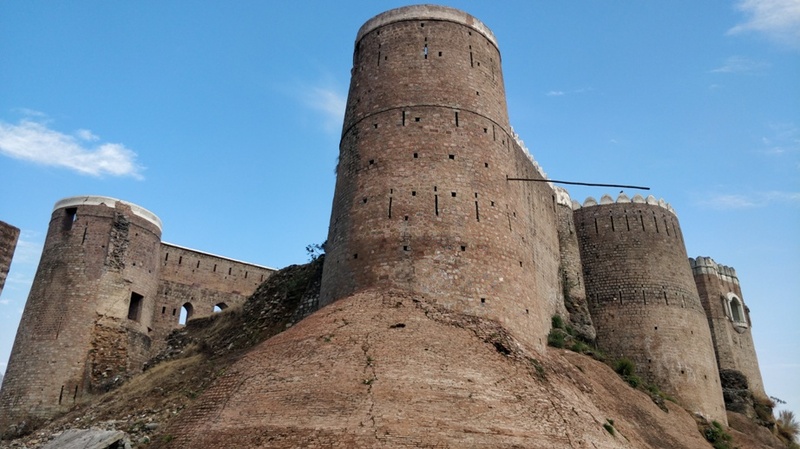 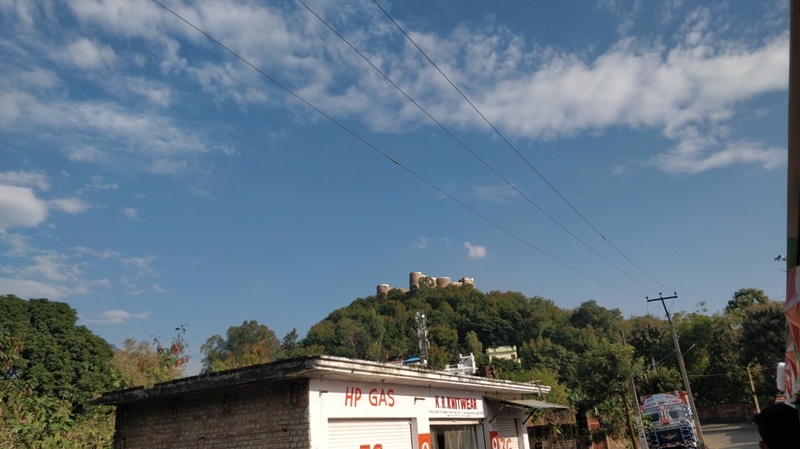 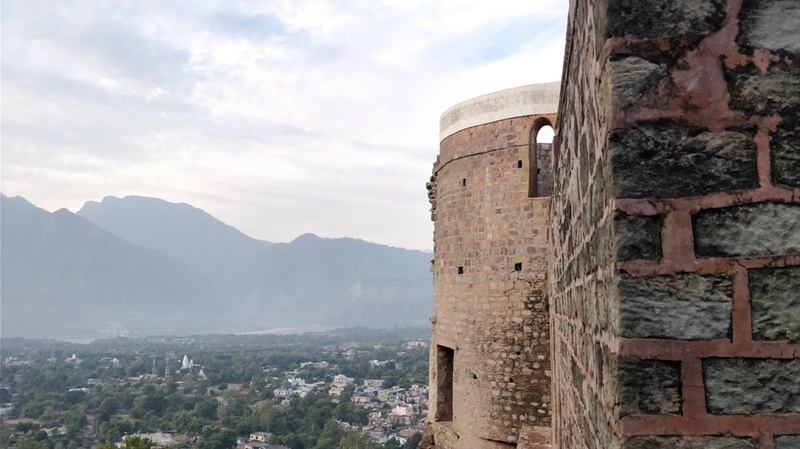 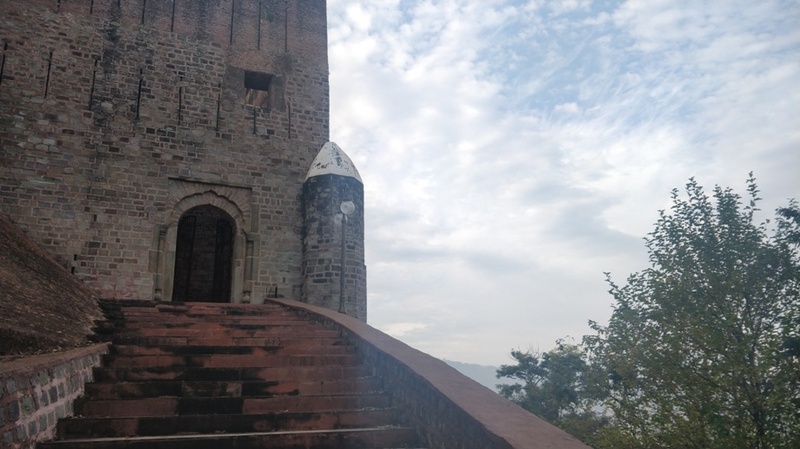 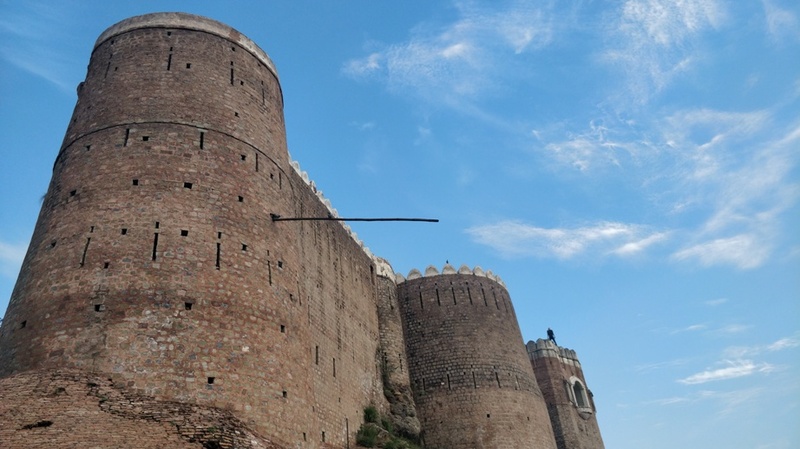 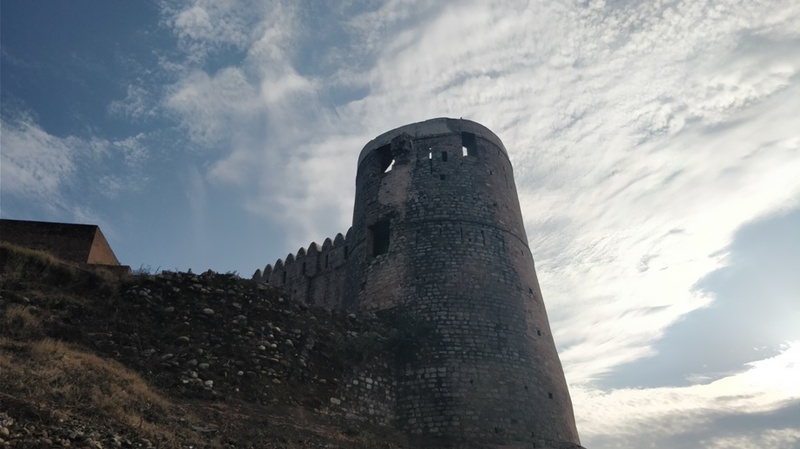 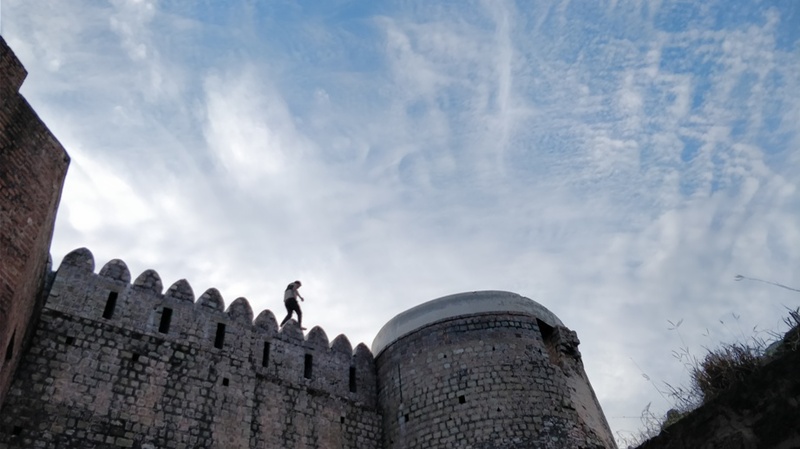 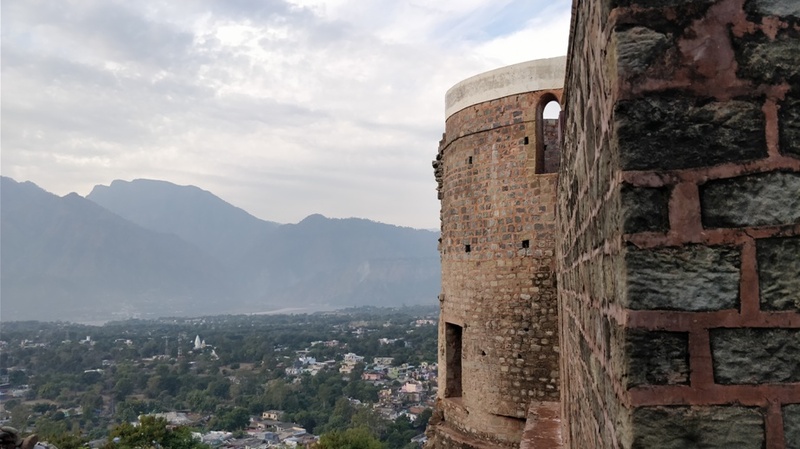 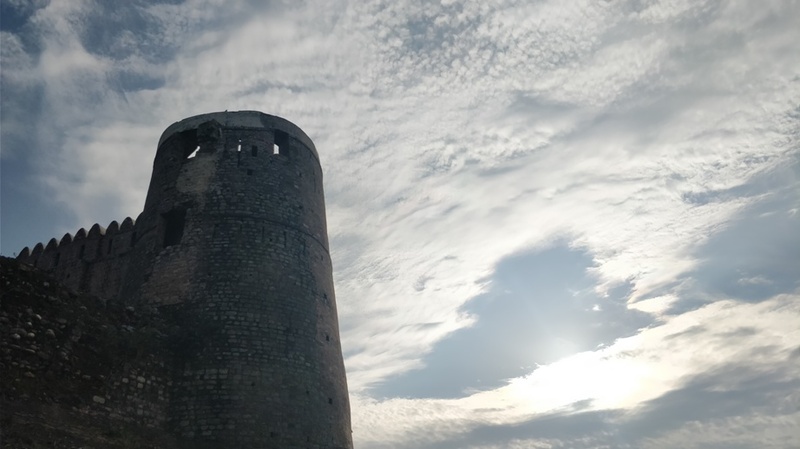 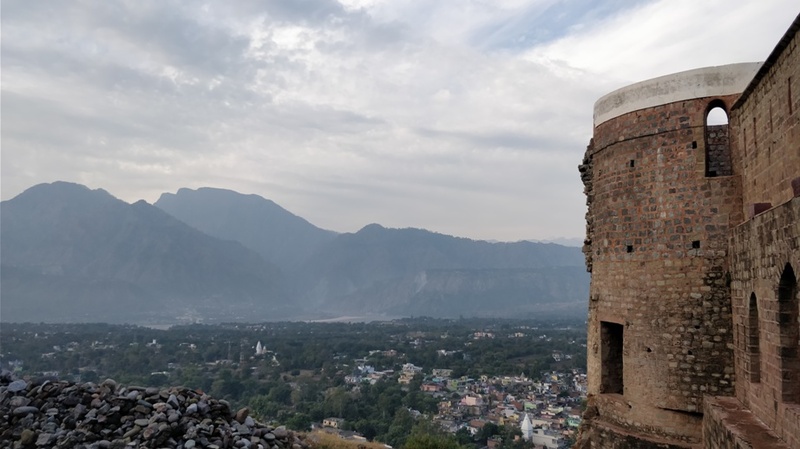 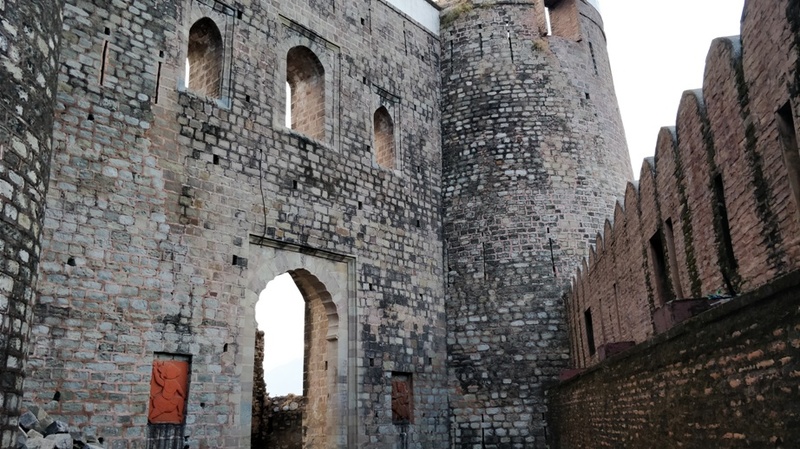 Bhimgarh Fort, popularly known as the Reasi Fort, is located in the town of Reasi near Chinab River on a hillock approximately 150 meters high. 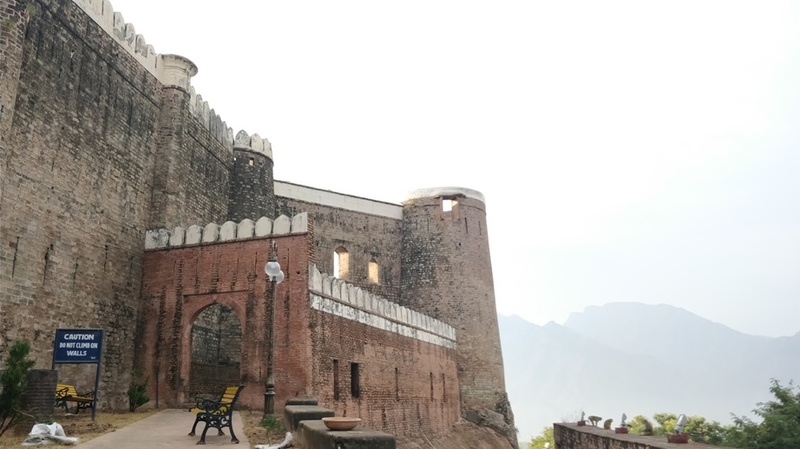 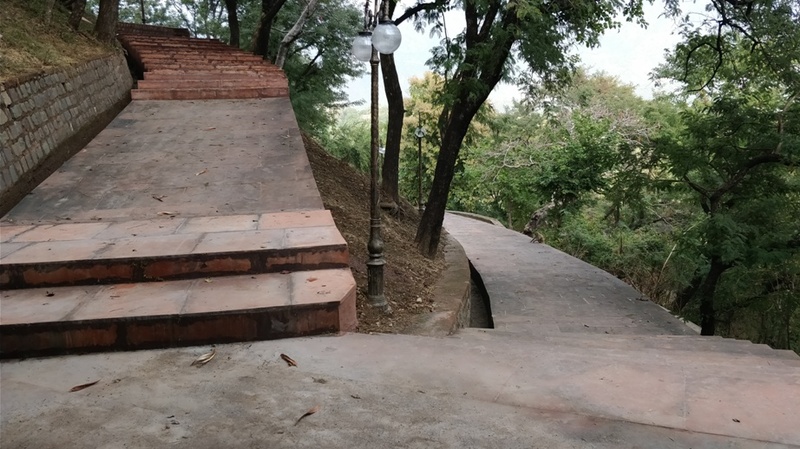 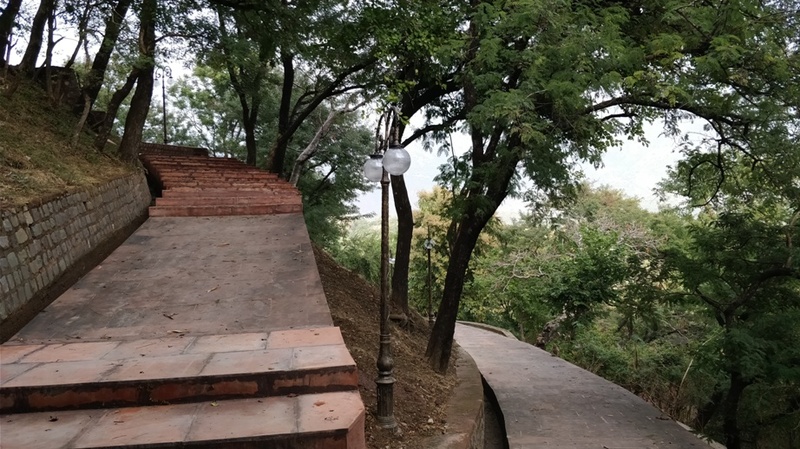 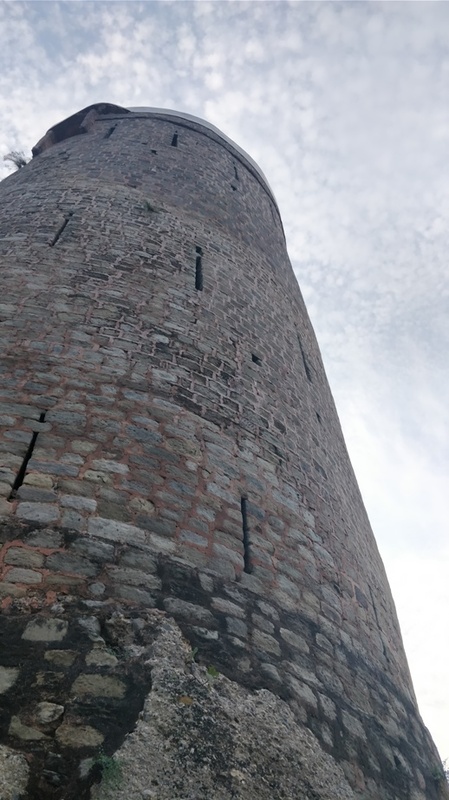 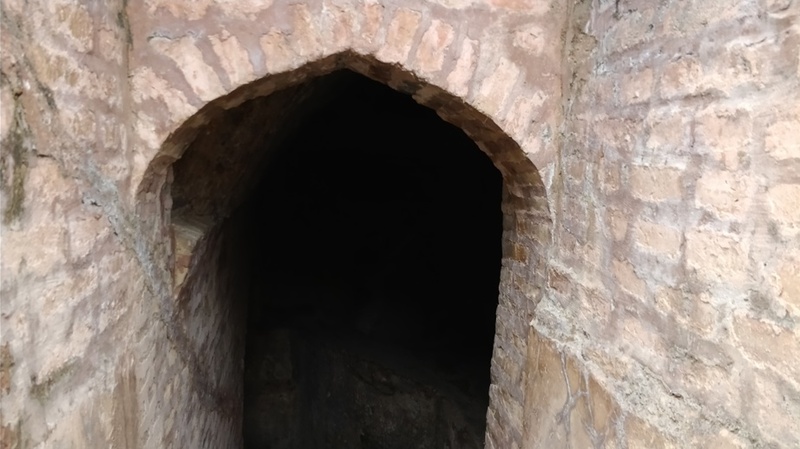 Initially, the Fort was constructed of clay and later on one of the heirs of Maharaj Rishipal Rana, the founder of Reasi, reconstructed it using stone. 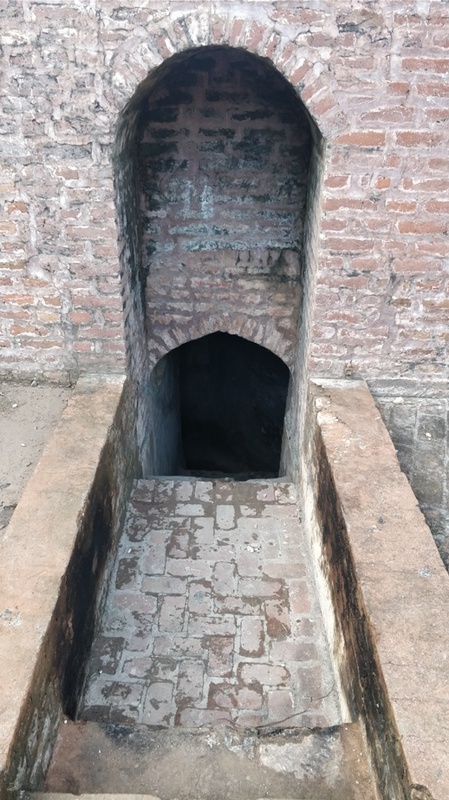 It was used by the royal family members for taking shelter during emergencies. 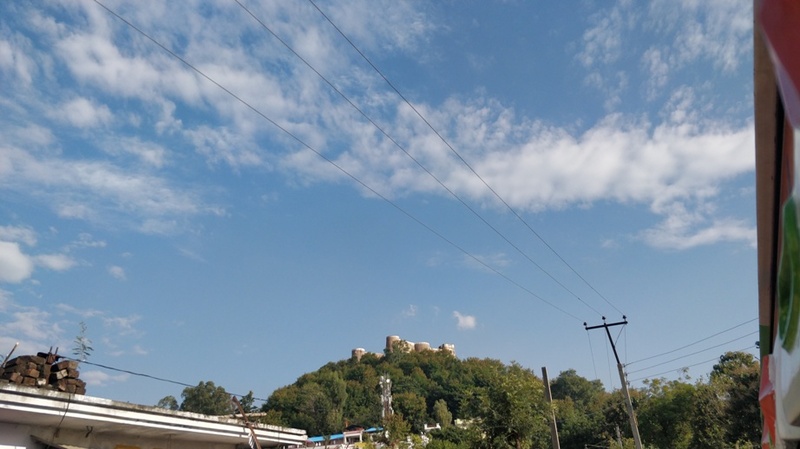 Reasi is one of the oldest towns of the J&K State. 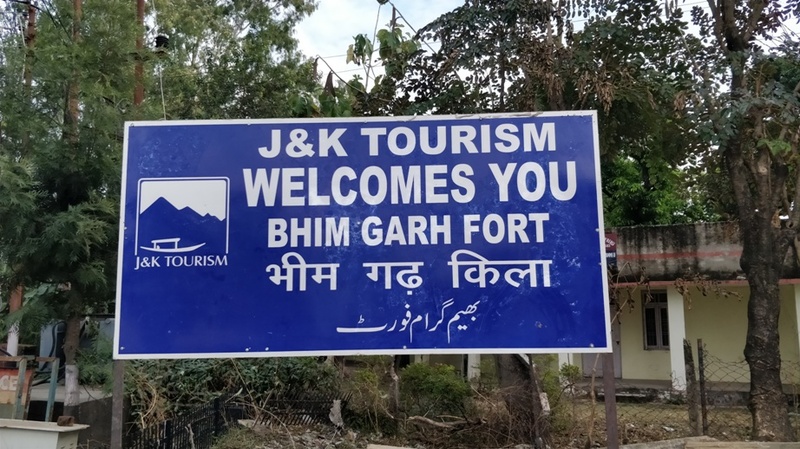 It was the seat of the erstwhile Bhimgarh State, said to have been established by Raja Bhim Dev somewhere in the 8th century. 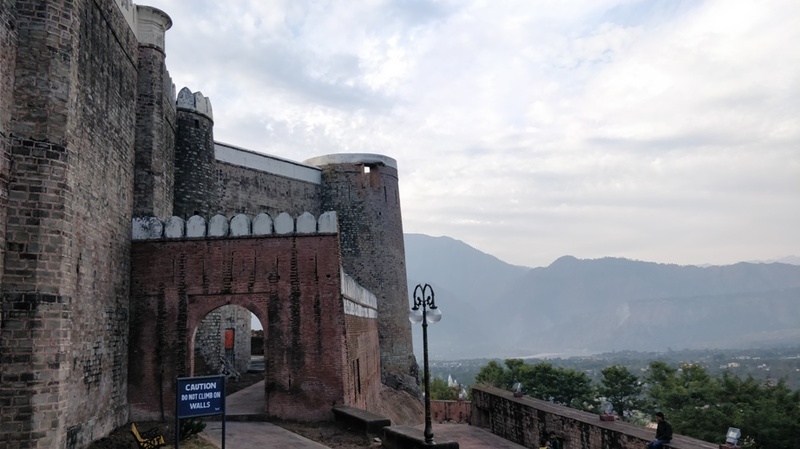 It remained an independent principality till 1822 when Maharaja Gulab Singh the then King of Jammu consolidated small states. 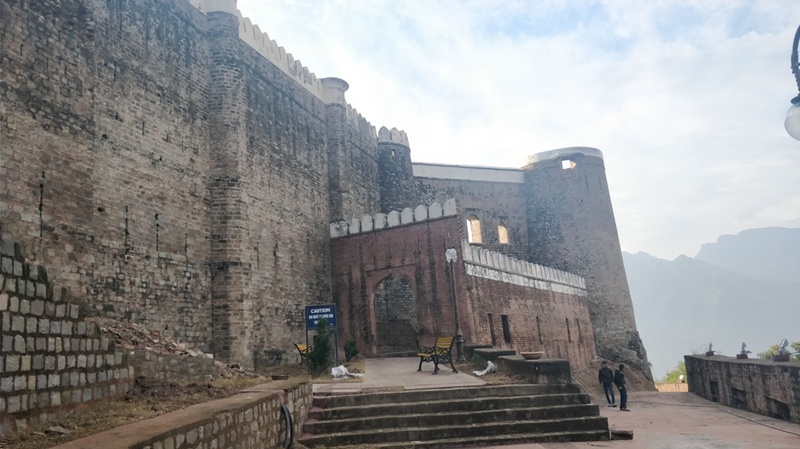 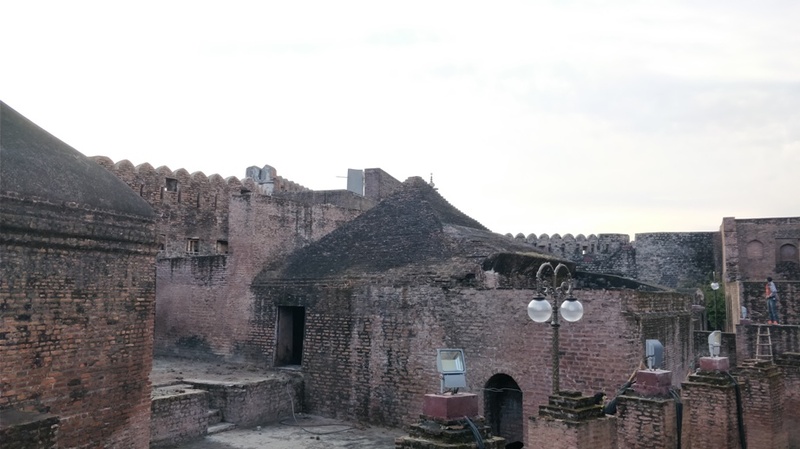 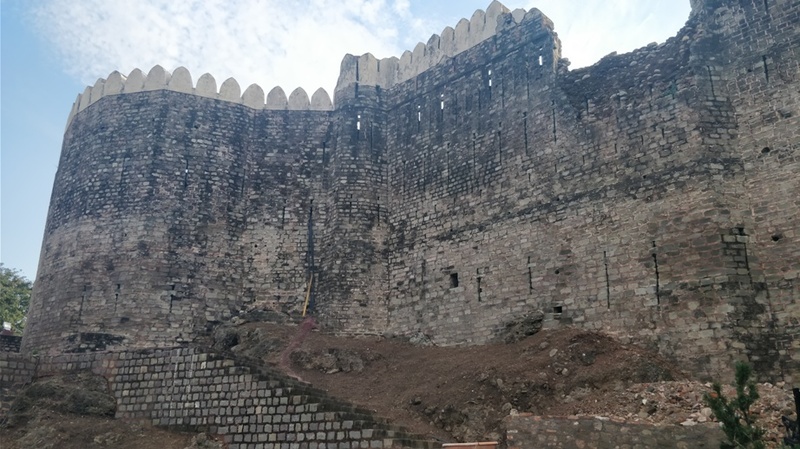 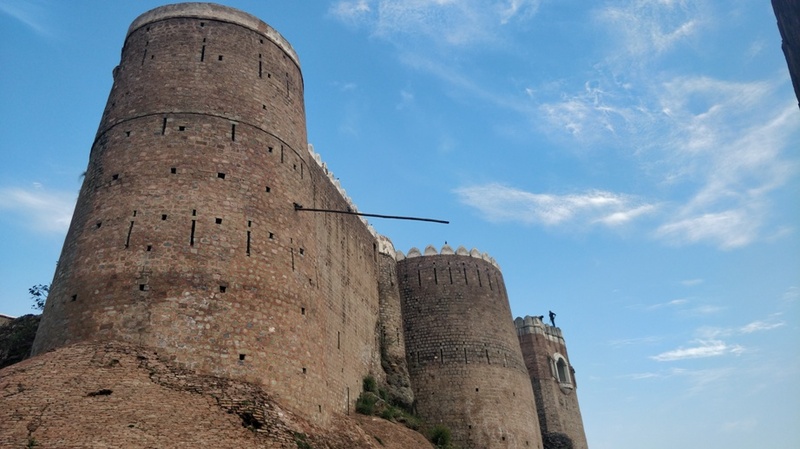 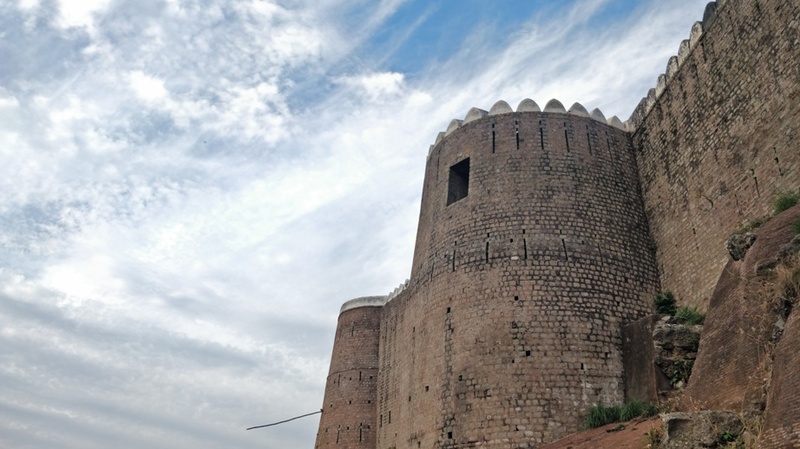 The renovation of the Fort was started by Gulab Singh of Jammu and Kashmir in 1817 and continued till 1841. 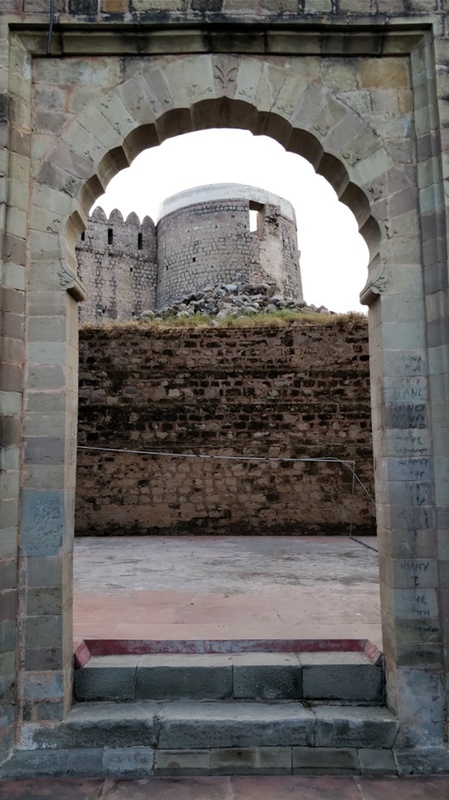 A new entry gate and a stone wall one meter wide and 50 meters long was built all around, thereby making it less vulnerable to attacks. 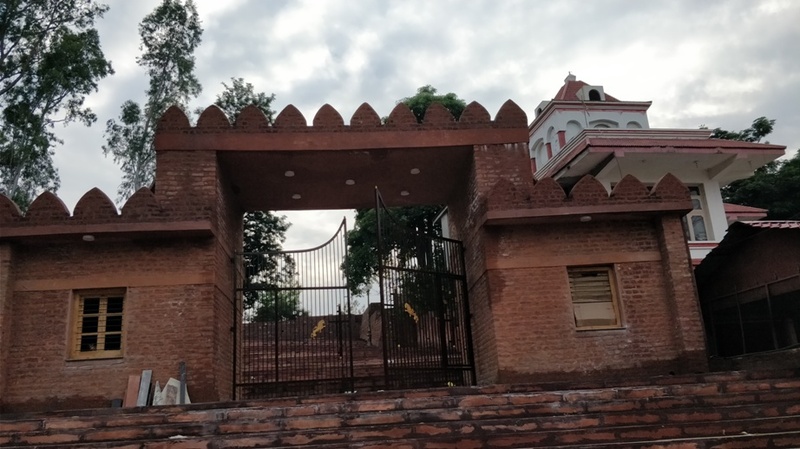 The main entry gate is made of Baluka stones with Rajasthani carving. 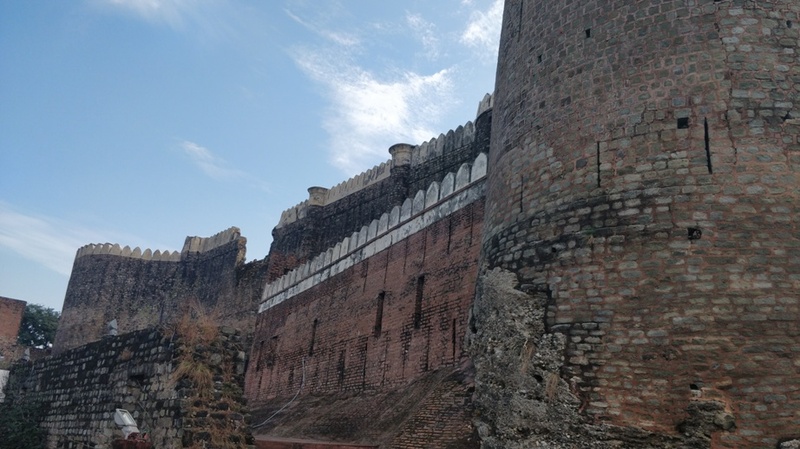 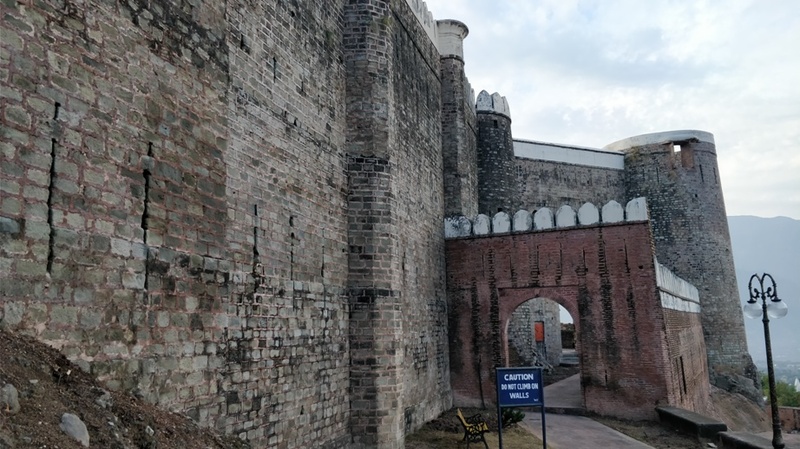 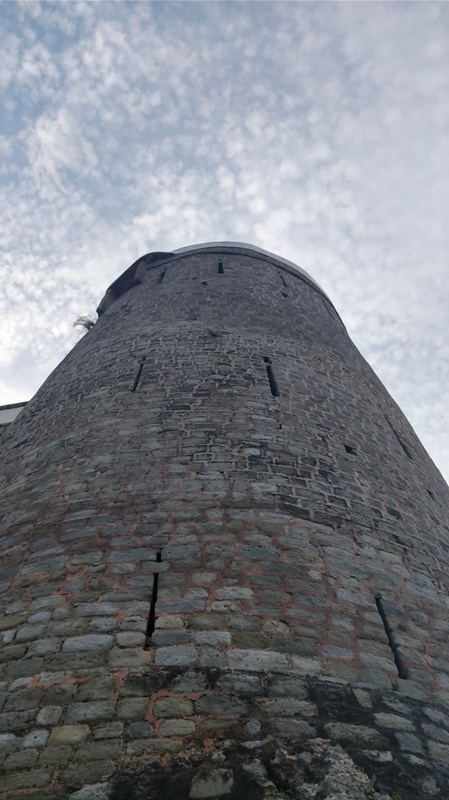 The front wall with loopholes is approximately 50 meters long and one meter wide. 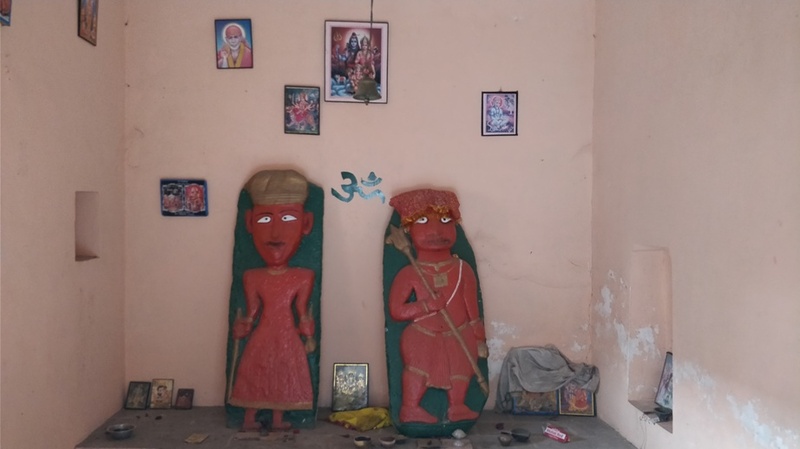 This has a statue of the Goddess Mahakali and of God Hanuman. 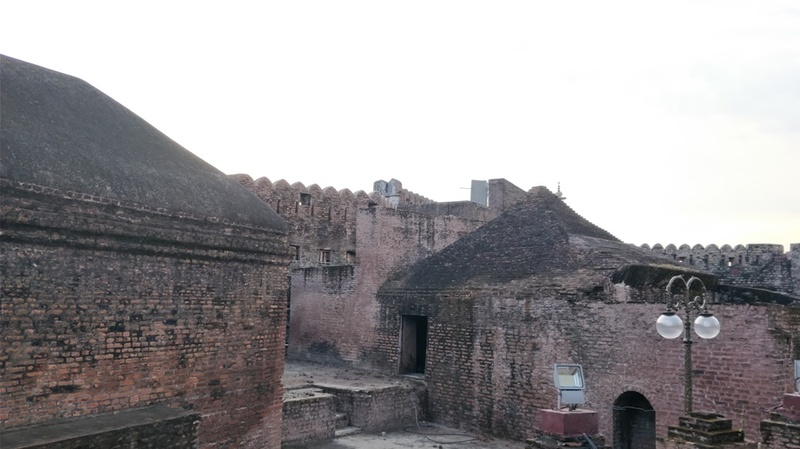 The Fort has a temple, a pond, a number of rooms of different sizes, armory and treasury. 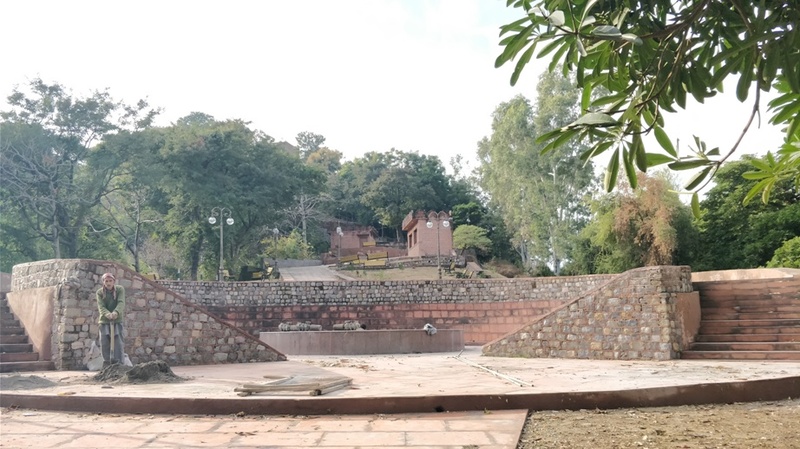 After the death of Maharaja Gulab Singh, his heir Maharaja Ranbir Singh and Maharaja Pratap Singh used Bhimgarh Fort as a treasury and armory. 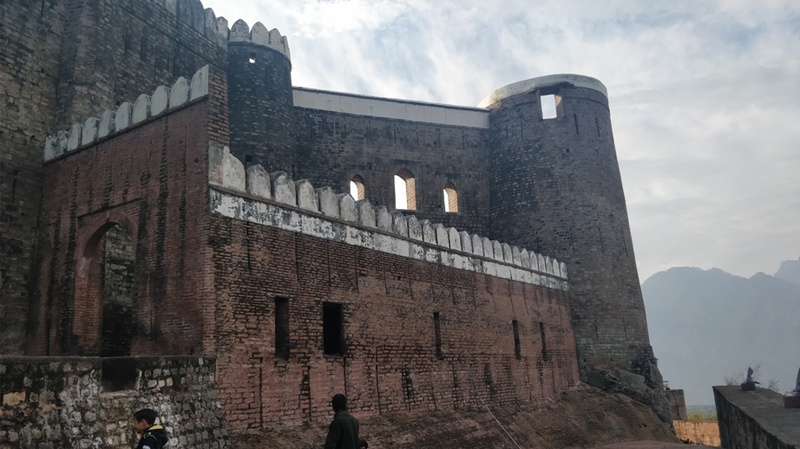 It was during Maharaja Hari Singh’s rule that an English Minister ordered that the armory is destroyed and shifted the treasury to Jammu.